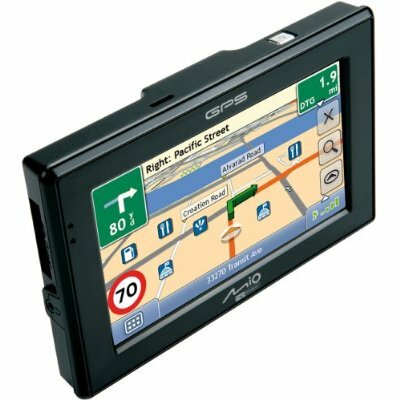 On W1FKF's recommendation, I recently bought a Mio C320 GPS. I mainly bought it because it can easily be unlocked to be a Windows CE handheld PC. It's small enough to fit comfortably in your shirt pocket. You can play MP3's and Videos, open Office Documents, check Email, etc. I'm using MioPocket for the Unlock, it has lots of useful freeware with it. There's also a MioPocket Lite bare-bones unlock with much less freeware. For about $100 for the GPS and another $50 for a WiFi SDIO card, you can have a lot of fun. Left - Mio C320 GPS front view. 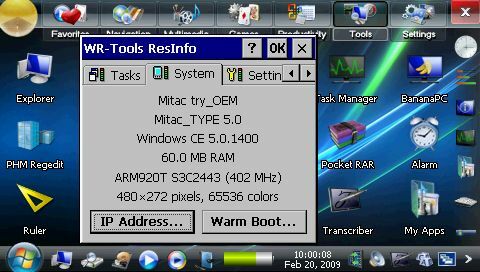 Right - Mio C320 unlocked, running Windows CE, and showing System Info. Left - One of several Desktops. 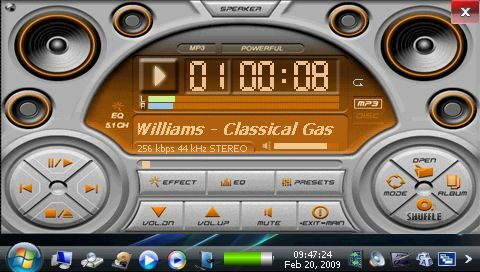 Right - Naviplayer MP3 Player. 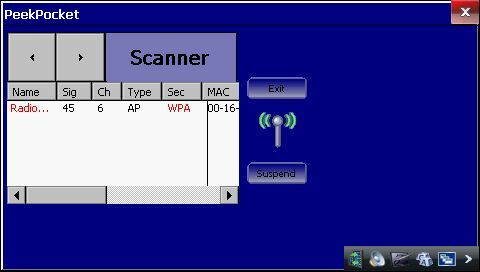 Left - PeekPocket showing WiFi connection to a WPA secured Wireless Router. Right - Browsing the Web in Internet Explorer. Left - Checking E-Mail with nPOPuk. 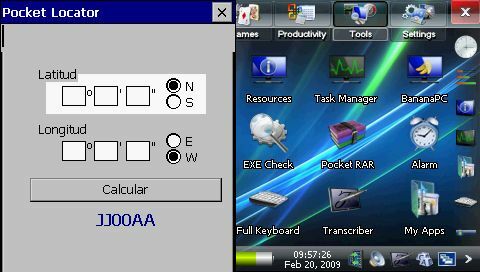 Right - Pocket Locator Lat/Long to grid square converter for Windows CE. Windows CE is in ROM. There is 1GB of Flash you can work with. it appears as a USB flash drive on your PC, "Mio Device". It is wise to backup all files and folders on this drive to your PC. so everything gets backed up. and copy your backup files and folders back into the device. Then, a hard Reset will reinitialize everything as it was. Note: If all else fails you can reformat the internal flash drive. then Tools, Check for errors to fix any issues. The safest way to experiment is to do a SD memory card installation of MioPocket or MioPocket Lite. That method leaves your internal flash drive un-touched. But with this you'll only have Windows CE when you plug in your SD memory card. If you want WiFi, you'll need to do a SD-Free installation of MioPocket or MioPocket Lite. Meaning no SD memory card, all unlock code will be installed on the device internal flash. (To make room for the Unlock code to reside on your internal flash drive). I moved all states except a dozen on the East Coast out. I placed the remaining states map files onto a SD memory card. so that MioPocket will fit on the internal \My Flash Disk. When I'm in the car, I plug in the SD card and have all 50 states. 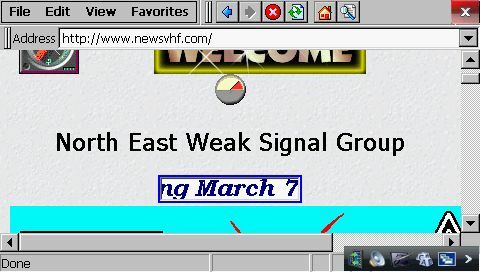 When I want to browse the internet, I plug in my SDIO WiFi card. Ambeon WL54C-SD, or Spectec SDW-821. These are both 802.11g cards. I have the Ambeon WL54C-SD, I paid $45 for it through Amazon.com. entries and sent the corrected code to the authors, which they now include. If you start playing with the internal flash drive, you'll notice some oddities. differs from what appears on the devices's Windows Explorer CE. \My Flash Disk\MioAutoRun after you've explored into it. which contains the folders Cookies, History, and Temporary Internet Files. These are flushed after a hard reset. after you've explored into it.) This is why Opera bookmarks are retained after hard reset. which accumulates junk so you may want to clear it's contents after awhile. This may be cleared from within Opera, click Menu, Tools, Settings. loses it's URL Launch Page, meaning you won't be able to browse anywhere. This is an annoyance. But a Soft Reset remedies the problem. 1. Copy file from Mio internal flash, \MioAutoRun\Programs\Win32\ASRDisp.exe to your PC's desktop. 2. Download and install Microsoft ActiveSync v4.5 for Windows on your PC. You'll need to reboot your PC to complete installation. 3. Go to MioPocket's Settings desktop, USB Mode, change to ActiveSync. 4. Connect Mio while powered up via USB cable to PC. 5. Answer No to ActiveSync setting up Partnership to synchronize. 6. ActiveSync will then connect device. 7. Run ASRDisp.exe that you earlier copied to your PC desktop. Ignore error, click OK.
8. 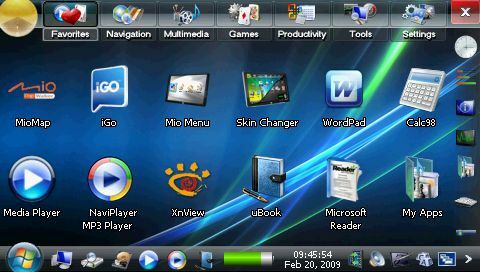 You are now viewing your Mio desktop remotely on your PC, use PC mouse to control it. You can also zoom 2X for a larger display if desired. Breaking NEWS - I have PocketDOS working and booting FreeDOS. written for a PC 8086 running on the ARM processor of my Mio GPS. 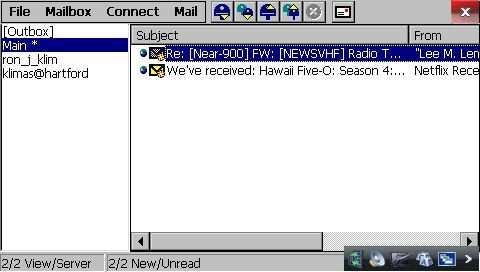 Yes this means many of those old DOS ham programs can run on this device! per the install instructions text file.